One months, hundreds of royal events and some very special memories. Among the highlights of February, five moments really stand out. From a magical tea party to the beginnings of a piece of history, these are the things that will stay with us for a long time to come. 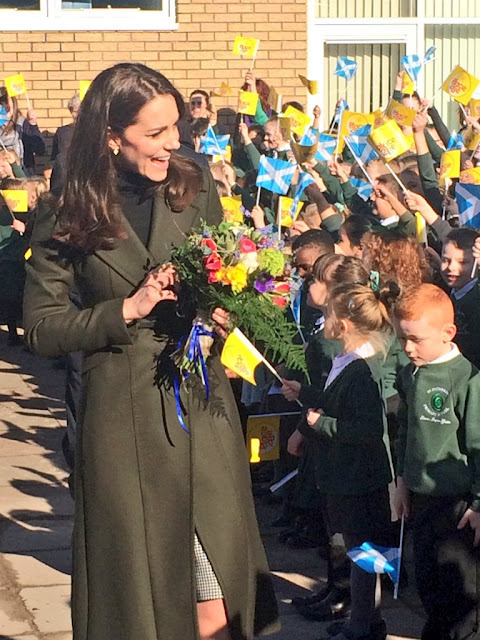 Here are five royal reasons to remember February 2016. Let's admit it, we're all secretly hoping that Victoria of Sweden has a Leap Day baby. Given that she is in the final trimester, Victoria is probably at the stage where she just wants to have a baby full stop. We're all looking forward to the safe arrival of healthy, happy baby number two for the Crown Princess of Sweden so while we wait, we're looking back at her maternity fashion (see the special page) and now it's time for the final countdown. Here's how Victoria has wowed as she prepares for the arrival of her second child. December 4th 2015, Royal Palace, Stockholm If ever there was a time to recycle royal fashion, it's during pregnancy. After all, even if we get another two or three mini Victorias or Daniels the opportunity to rewear maternity clothes is limited. 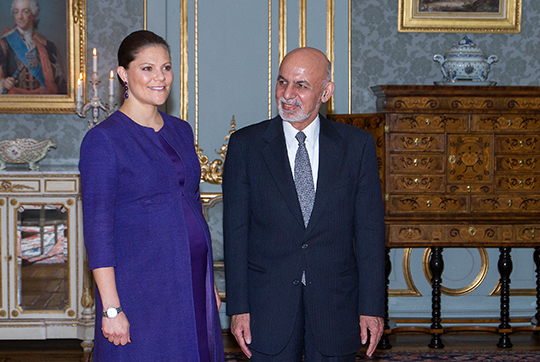 So Sweden's Crown Princess dusted down her favourite purple dress and coat and wore them for an audience with the President of Afghanistan, Ashraf Ghani, as December got under way. If there's one thing more glittery than the Oscars themselves, it's the frocks and rocks worn by the stars attending the Academy Awards. From Alicia Vikander's Vuitton to Brie Larson's Gucci, there was glamour and gorgeousness all round at the ceremony this year. It's when actresses dress as princesses but it's the gown chosen by a real life princess in waiting for her big Oscars moment that regularly tops favourite frocks of all time polls. Grace Kelly picked up her Best Actress gong in a gown that became part of film - and royal - history. This is what princesses wear to the Oscars. It's Oscars night and that means the eyes of the world are on Hollywood for the biggest, glitziest and most famous film awards of them all. There will be dozens of statuettes handed out this evening but the some of the most intense interest will be in who takes home the acting prizes. This year, Hollywood royalty is hot favourite for a prize with Leonardo di Caprio the man to beat for best actor. But in the past, royal roles have bagged the golden statue for several actors. Here are 6 royal roles which have won Oscars for the women and men who brought them to life on the screen. We saw him take a few steps on the celebrations for his first birthday but Prince Jacques of Monaco is really hitting his stride now. As he accompanied his parents to a rugby tournament, the heir to the throne of Monaco looked more than confident at walking out as he trotted happily holding on to Princess Charlene's hand. 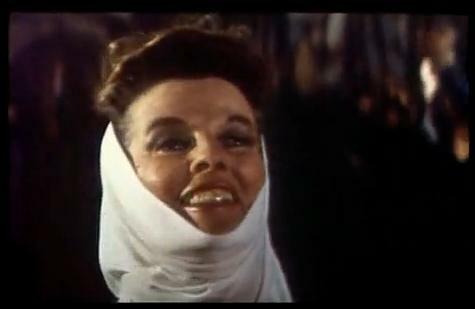 And Monaco's leading lady may just have won the prize for proudest looking mum of the year while he did it. Jacques, who looks rather like mum, was with Charlene and Albert at the Saint Devote rugby tournament where all the contestants are under the age of twelve. Ten teams from nine different countries took part in the event which is organised by the Monaco Rugby Federation and the Princess Charlene Foundation. 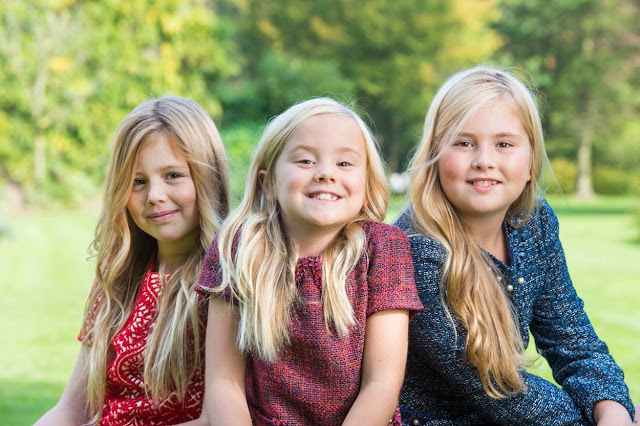 Princess Alexia of the Netherlands is recovering well following an operation on her right leg. The princess, who is ten, broke her leg in an accident while on a ski-ing holiday with her family in Austria. The Royal Household issued a brief statement late on Saturday to say that Alexia had undergone surgery and the procedure had gone well. Princess Alexia, who is second in line to the throne of the Netherlands, will stay in hospital for several days. The accident came several days after the Dutch royals arrived in Lech, Austria for their winter holiday. Princess Alexia of the Netherlands is in hospital tonight after breaking her leg during a ski-ing accident in Austria. 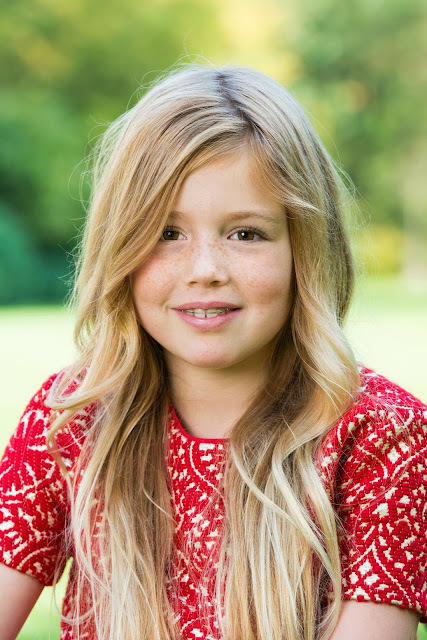 The ten year old princess, second daughter of King Willem-Alexander and Queen Maxima, was involved in an accident during her family's winter holiday in Lech on Saturday morning and airlifted to hospital where doctors diagnosed a break to her upper right leg. The Dutch Royal Household released a statement saying that Alexia, who is second in line to her country's throne, was taken to hospital by helicopter following the accident and that she has undergone surgery. They will release more information later. 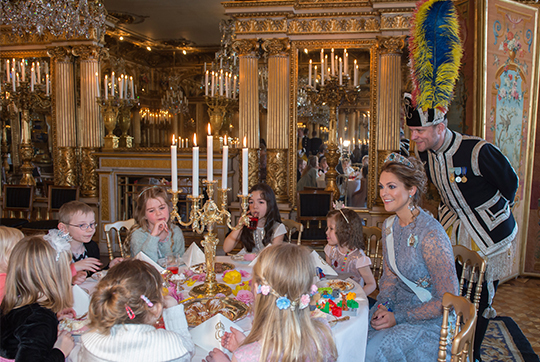 As the first shoots of spring appear, the Royal Wardrobe is also blossoming and this week we saw a lot more colour than we have in recent times. There were a couple of big, bold splashes but mostly this week was all about mixing subtle shades with black, grey or white to produce all sorts of interesting looks. Here are five fabulous outfits from this week's Royal Wardrobe. Maybe it was the unstructured sleeves, maybe it was the cool collar but there was something about Princess Charlene's white jacket that made it unforgettable. Add in the black jumper and skinny jeans and this is formal relaxed at its very best. All sorts of chicness here. It's been a busy week for the House of Windsor. We got tennis, we got football, we got trains, we got a whole new railway line. That's not bad for seven days. Here's a round up for the week in the Windsor Wrap. Queen Letizia's choice of that striking but under used colour combination of pink and black gave her a fashion winner. And she's not the only royal to add these two colours together to score a hit - though to be fair to Letizia, she's favoured this mix more than most and has had some real winners in the process. Here's a look at six times royals have added pink to black - which is your favourite? Crown Princess Mary of Denmark added a gorgeous pink coat to a gorgeous black jumper and pink skirt and looked, well, gorgeous. The combo was chosen for a visit alongside fellow style icon, Queen Maxima of the Netherlands, who looked just as good in different colours. Two royal women showing everyone how to mix and match. Thirty five years is usually linked to jade or coral but this 35th is all about a sapphire. For on February 25th 1981, the papers were full of photos of a sparkling sapphire and diamond ring. 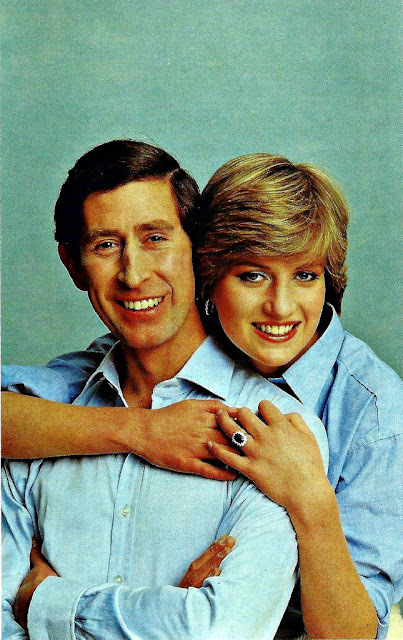 Ia world before the internet (yes, that really happened) we had to wait until the day after the announcement of the engagement of Charles and Diana for a chance to really study the ring he had given her. So it was 35 years ago right now that we got a proper introduction to what is now one of the most famous rings in the world. Ultimately, it looked better with the jacket but the outfit picked by Queen Letizia of Spain for her day out today put her back at the top of the style stakes. After a very quiet start to the New Year, Letizia let rip with a pink and black combo that wowed from a distance and still got a round of applause close up. Spain's style icon queen is back in business. 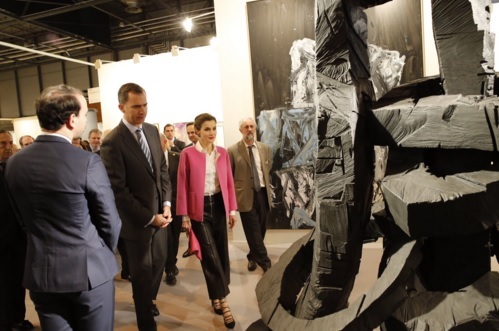 Letizia was out and about with her husband, King Felipe who was wearing a grey suit and blue tie if you're interested. No? Thought not, back to Letizia. You can't beat a bit of black and pink - for a more unusual colour combo, it's right up there for me. Spain's queen found herself a very nice candy pink jacket with flared sleeves and a bag so colour co-ordinated it was almost as if she had stayed up all night dying it to match. Part two now of Victoria's maternity day wear (you can read part one here) and we start with her trip to Peru and Colombia where we got lots of bright colours and eye catching jackets. October 19th, Lima, Peru For the first appearances of the tour, including a meeting with Peruvian President, Ollanta Humala, Victoria chose a red shift dress with a raised waist and mid length sleeves. The jaunty jewellery was a nice addition and this was a striking look to start the tour. October 20th, Lima, Peru There was another eye catching dress on display on day two when the Crown Princess chose a geometric print design with full sleeves for a series of engagements including a tour of Lima's historic centre. It was another victory for Victoria. October 21st, Cartagena, Colombia The royal couple then moved on to Colombia and for a visit to Cartagena, Crown Princess Victoria chose a fabulous black dress with floral print scattered across the body. It was a look worth repeating over and over again. Victoria's last pre baby appearance? A home birth for Victoria?